Gallery 1313 is not part of Toronto’s Doors Open this year, but you should still make the trip to the gallery for the closing weekend of Acts of Exposure. 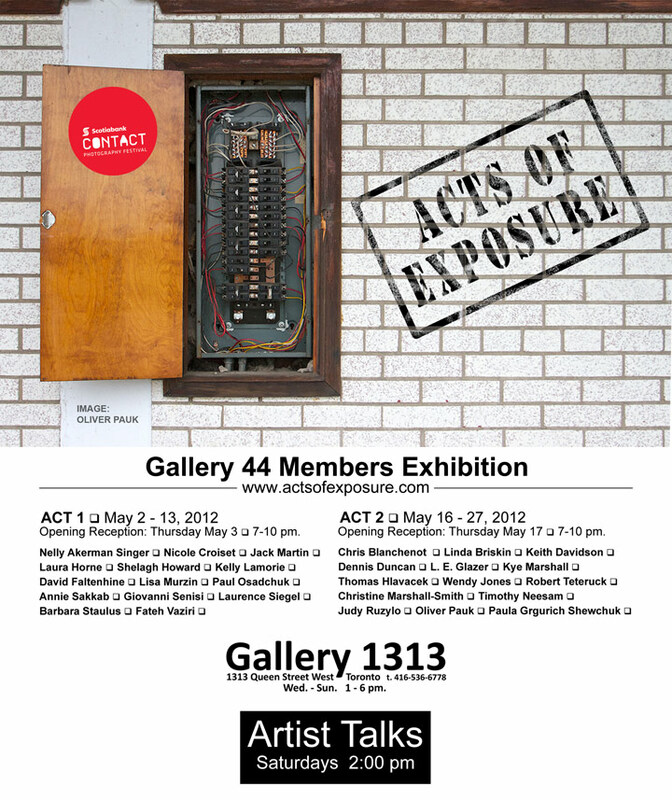 The gallery is open Saturday and Sunday from 1 p.m. to 6 p.m.
Acts of Exposure continues at Gallery 1313 until Sunday, May 27. The Gallery is open Wednesday through Sunday from 1 p.m. until 6 p.m.
Part 2 starts Wednesday; Opening Reception is Thursday, May 17th, at 7 p.m.
Acts Of Exposure | NOW Magazine. Acts of Exposure was featured in the daily news section of Now Magazine today. Part 1 of the Exhibition continues until Sunday, May 13th. 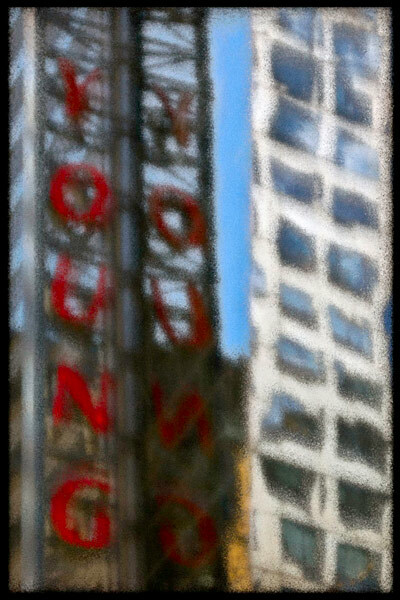 Part 2 begins on Wednesday, May 16, with the opening reception on the evening of Thursday, May 17th. Regular Gallery 1313 hours are Wednesdays through Sundays, 1 p.m. to 6 p.m.
Parkdale MP Peggy Nash attended Saturday’s Artist Talk. If you missed it, there will be another Artist’s Talk on Saturday, May 12th, at 2 p.m.
Annie Sakkab’s Strip Search, along with work of 13 other photographic artists who are members of Gallery 44, can be seen in the group exhibition, Acts of Exposure, until Sunday, May 13, 2012 at Gallery 1313, Queen Street West, in Toronto. The gallery is open Wednesdays through Sundays from 1 pm until 6 pm. Artist Talks take place Saturday afternoons at 2 p.m.
Acts of Exposure: Act One’s Opening Reception is Thursday! The Opening Reception for Part 1 is Thursday, May 3, 2012 from 7 p.m. until 10 p.m. Join Nelly Akerman Singer, Nicole Croiset, Jack Martin, Laura Horne, Shelagh Howard, Kelly Lamorie, David Faltenhine, Lisa Murzin, Paul Osadchuk, Annie Sakkah, Giovanni Senisi, Laurence Siegel, Barbara Staulus, and Fateh Vaziri for a celebration of their joint exhibition at Gallery 1313, 1313 Queen Street West, Toronto.